A fine production of Chianti Classico Biologico, repeatedly awarded and recognized internationally. Visit the production of Badia a Coltibuono. Don Tommaso Chianti Classico, "Gran Selezione" enhances the natural potential of marriage between Sangiovese and Merlot, and is enriched by the unmistakable taste of French oak barrels. All Fontodi wines are produced from grapes from their own vineyards, harvested by hand, carefully chosen and vinified in a way that enhances the character of the vines and the territory. The Chianti Classico of Isole and Olena is born in vineyards located on the rolling hills of Barberino Val di Elsa, in the province of Florence. 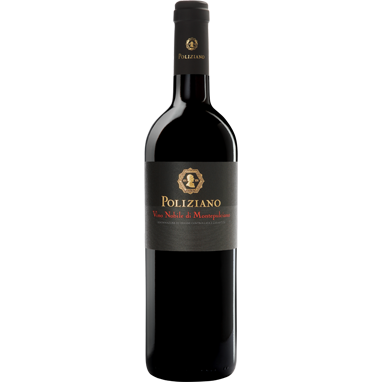 It is produced 80% with Sangiovese grapes, 15% with Canaiolo grapes and 5% with Syrah grapes, harvested partly by hand and partly mechanically the first days of October. The Chianti Classico of Querciabella is a noble territorial expression of the splendid Classical area that emerges in the heart of Tuscany. This wine embraces more key territories of this unique and unique range. Our wines recall the historical tradition of the territory but are able to speak to the world. Theirs is a long story: born in the 80s, they keep the original labels but they are refined and evolved, always pursuing a single objective the uncompromising quality. It was the first Sangiovese to be aged in barrique, the first modern red wine assembled with non-traditional varieties (such as Cabernet), and among the first red wines in Chianti not to use white grapes. Tignanello is a milestone. Argentiera Superiore Argentiera Bolgheri DOC 2014. The Bolgheri Superiore Argentiera represents one of the symbolic wines of Tenuta Argentiera. This wine is born in the famous Doc Bolgheri, in vineyards located at about 200 meters above sea level. It is produced with Cabernet Sauvignon grapes. Another great wine from the 2013 harvest to be forgotten in the cellar. The paleo was the first red born in the Macchiole house. Nothing to date still identifies their company better than this great Cabernet Franc. The first vintage in 1992 was born with the cabernet. GALLI enoteca GALLI enoteca Write review. Newsletter service to receive our proposals.